Taking you from the city to the beach, from the office to the bar, or from the high street to the park, the easy, comfortable Superga shoe has no boundaries. This modern reimagining of a Superga classic features a high-top silhouette on a chunky platform that features a bold tread. 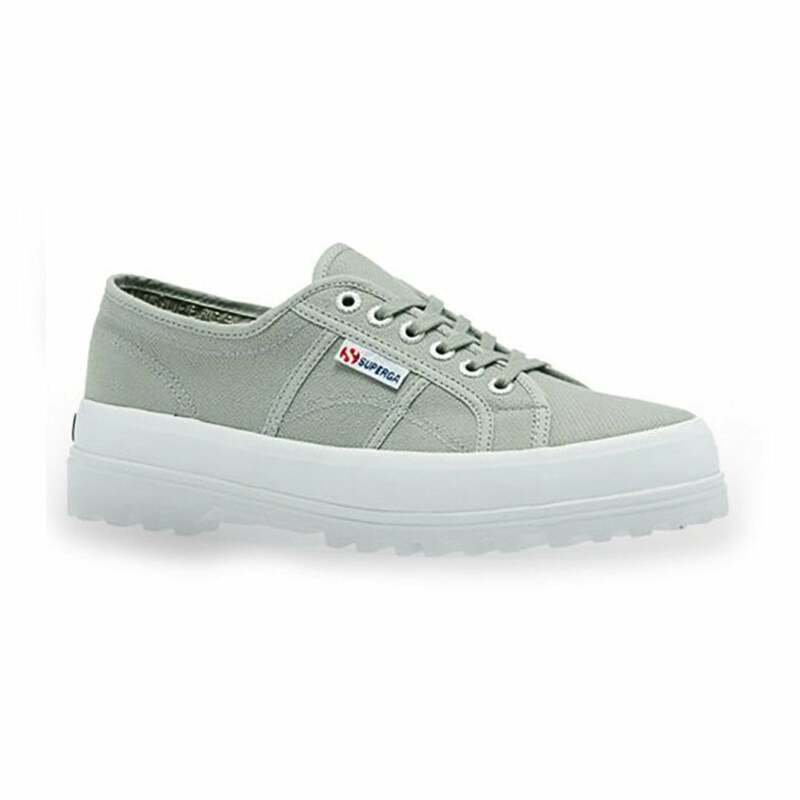 The Superga 2555 Cotu platform fashion trainers feature five pairs of metal eyelets that have a thin colour matched flat lace to provide a secure and comfortable fit. Finishing the Superga womens fashion trainers is a treaded platform rubber sole. Prepare for the party season with our favourite 2555 platform trainers from Superga, the easiest way to step up any outfit!